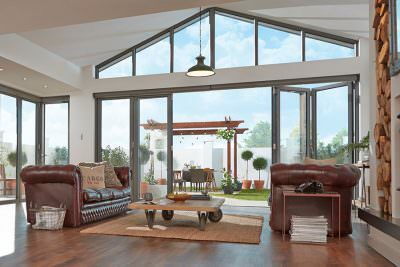 Aluminium bi-fold doors add value by letting in lots of natural light. Because aluminium is a malleable substance, it can be finely tailored to create views of the outside that might otherwise be impeded by part of a door’s inherent structure. From an aesthetic view alone, aluminium bi-fold doors create a better impression of space and bring the outside inside. 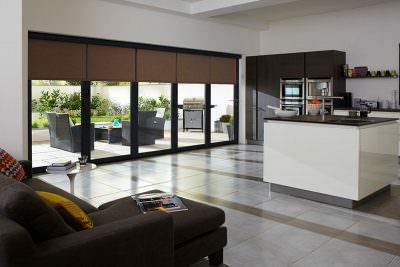 Although bi-fold doors will add style to your Essex home, they will also come armed with a range of practical benefits. You’ve been researching bi-fold doors because you want a durable and dependable product that will add aesthetic value to your home. Kingfisher are one of Essex’s leading installers of high-quality aluminium bi-folding doors that provide homeowners with a wide range of benefits. From superior security and thermal efficiency through to sleek and stylish design, we offer products that help your property stand out from other homes in your area. In order to make sure that you get the best possible product, we work with Smart Systems to bring you the market-leading Visofold range. Combining low U-Values and maximum security, the Visofold class of bi-folds will easily protect you and your Essex home by keeping intruders out and natural heat in. If security is of particular concern then worry not; this range is tested to PAS 24: 2012 standards. 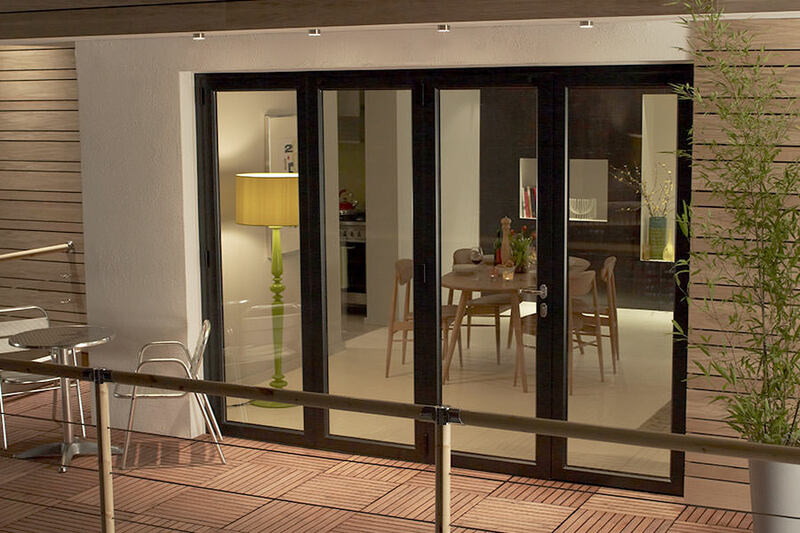 Smart aluminium bi-fold doors also offer superior protection against the often-harsh British weather. As a result, they won’t bow, rot or warp across time and will continue to protect your beautiful Essex home for many more years to come. That’s also why our aluminium bi-fold doors come complete with robust manufacturer guarantees for your peace of mind. No matter what your design requirements are, we will help you find bi-folding doors that will complement the existing colour schemes and architectural features of your Essex property. With a huge variety of finishes, standard and non-standard colours to select from, you will be able to locate a look and feel for your brand-new doors that suit your needs, all of which only bolsters the beauty that the attractive slim-line profile affords. You will also be able to stipulate how many door leaves you want and specify the exact measurements of your aluminium bi-fold doors. This means you’ll benefit from a bespoke product that’s perfect right down to the millimetre and designed around your specific stylistic preferences. Why not contact our expert team today for some no-obligation aluminium bi-fold doors prices? 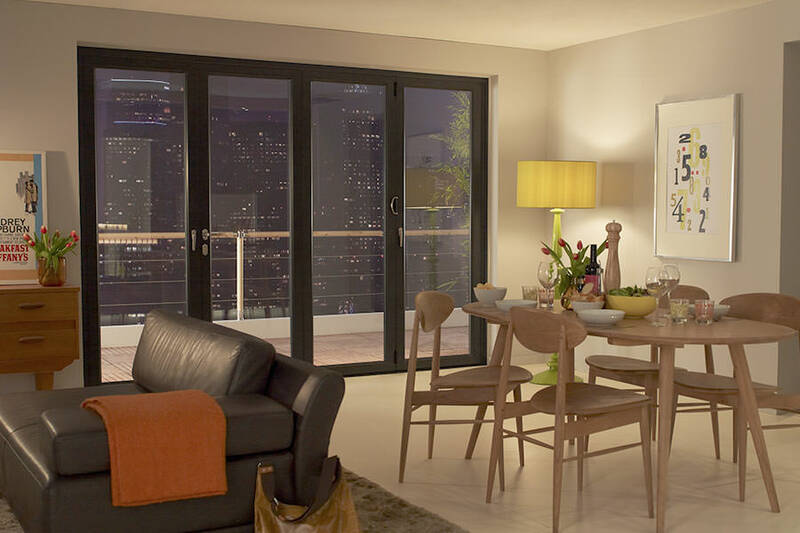 The Visofold range of doors provide superior thermal efficiency. By preventing heat from escaping with the latest double glazing technology, and by preventing the ingress of cold air with anti-draught mechanisms and a polyamide thermal break, you can expect an interior climate that’s comfortable all year round. With U-Values as low as 1.5W/m2K, our aluminium bi-fold doors are an excellent investment from every conceivable angle. 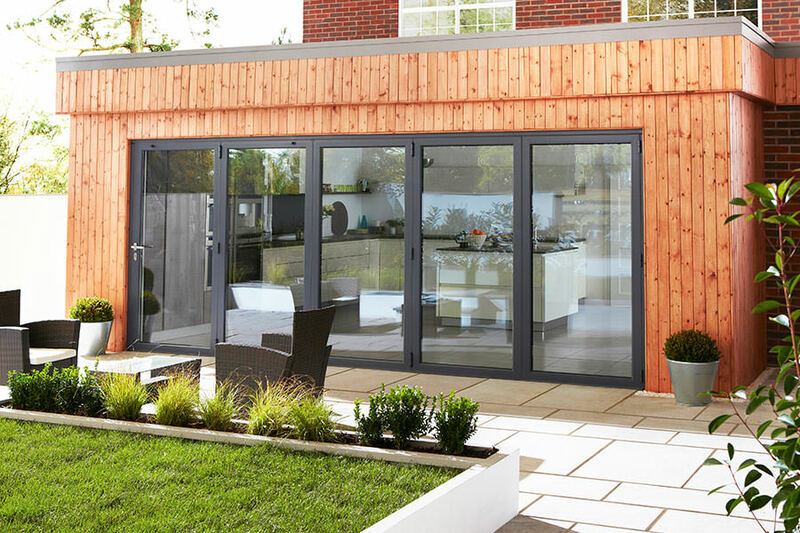 We offer some of the finest aluminium bi-fold doors on the market; going through a rigorous quality process to ensure you’re only getting the best features and benefits. With a smooth and quiet gliding system, they’re so easy to use and always impress. 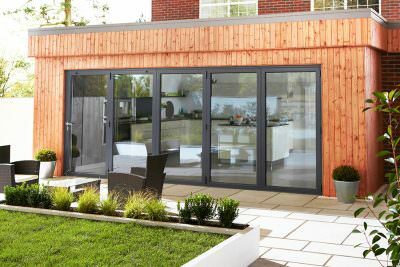 With our low threshold options you can create a seamless link between your home and garden. Furthermore, thanks to the natural strength of aluminium, our EPDM high quality gaskets and weather brushes that aid weather resistance, our doors prove a resilient point of protection against bad weather. On the note of durability, our robust powder coating keeps our doors looking their best and is resistant to fading and scratching. With a huge range of RAL colours to choose from, you can have a beautiful door that reflects your personal aesthetic tastes. You can even have a different colour on the inside with our dual colour option. Our aluminium bi-fold doors exceed modern security standards and with a series of multi-point locking mechanisms alongside shoot-bolt locking on floating mullions, you’ll be protected from unwanted visitors..
Because bi-folds can be fully opened, they also provide a wide space for people to walk through, making them exceptional transition points that enable your friends and family to move smoothly between your inner and outer spaces. If you’re one for hosting summer garden parties, then this might just be the product for you! If you are in the early stages of planning a home improvement project or want to replace your existing doors, you can contact our team directly for further help. 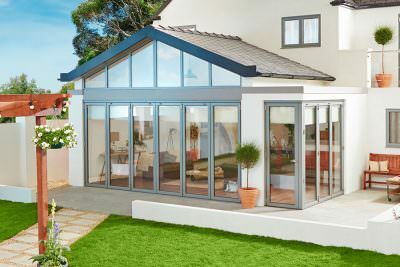 We can help you choose brand new aluminium bi-fold doors, windows, porches and roofs – so please tell us more about your design requirements when you call or use our free quotation tool. Homeglaze have installed aluminium bi-fold doors in many homes throughout Essex and the surrounding areas. We take pride in the quality of our work and hope that you will take some time to read some of the 1000 reviews left by our happy customers on our dedicated Checkatrade page. We also won the 2017 Which? Trusted Trader of the Year award – which means you can rely on the quality of our work and service. 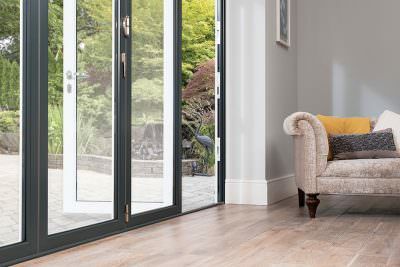 Pay a visit to our free quotation tool for aluminium bi-fold doors quotes. Once you’ve told us about your design project in more detail, you’ll be provided with an instant and locally competitive price. You can use this app to generate as many prices as you like, so please feel free to bookmark the page and return to it again in the future so that you can compare costings in more detail. If you want to ask us a question about our aluminium bi-fold doors, please use our contact page to submit your question and an experienced member of our team will reply in more detail as soon as they can. You can also call us directly if you prefer by dialling 020 8502 7560, in which case we would love to speak to you.